Find similar homes for sale to Cherry Tree View for sale, Laurel Md. It doesn’t get much better than this. Cherry Tree View is one of Howard County’s premiere neighborhoods. One of the newest communities in Howard County Laurel Md. Only eleven homes will be built by the very reputable Beazer Homes. The neighborhood is environmentally friendly. Close to schools, shopping and dining. And of course that great Laurel location between Baltimore Md. and Washington D.C. Buyers of Cherry Tree View will have the option of several different floor plans. Floor plans range from the Chelsea at approximately 2351 square feet to the Lexington II at approximately 3316 square feet. All homes have large kitchens, separate dining rooms and basements. In addition, each home has four bedrooms and at least two and half baths. If you hurry you still have your choice of exteriors. Cherry Tree View is some great Maryland real estate. One of the great features about living in Laurel Md. is being between two of the biggest job markets in the country, Baltimore and the District of Columbia. Along with the numerous job opportunities, both cities offer families opportunities for fun and adventure. In addition to local shops and restaurants, Cherry Tree View is only minutes from the very popular Columbia Mall. Wegmans is also in close proximity. Meriwether Post Pavilion offers National entertainment to the area. Cherry Tree View is a great addition to Howard County Laurel Md. You will be very happy if you choose to live her. You can find homes for sale in Cherry Tree View (if any are currently available) as well as all available Howard County homes for sale on my web site. 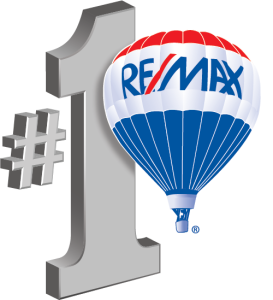 Would you like to know how much your current Howard County home is worth? There are a number of sites on the internet that will give you ‘estimates’ for what your home will sell for. These sites use public records and usually some kind of algorithm to try to produce a value for your home. These sites also publicly state their ‘error rates’. That means they aren’t correct, they are simply an estimate based on incomplete date. I would love to do a free comparative market analysis of your home or condo in Howard County and let you know what you could expect to get in today’s market if you are considering selling. My valuation is based on up to the day data for homes that have recently sold in the area. My valuation is not based on a formula that relies on public records which can take months to update. Please visit my website in order to get your free property evaluation for your Howard County home or condo. « Bowling Brook Farms Homes For Sale, Laurel Md.